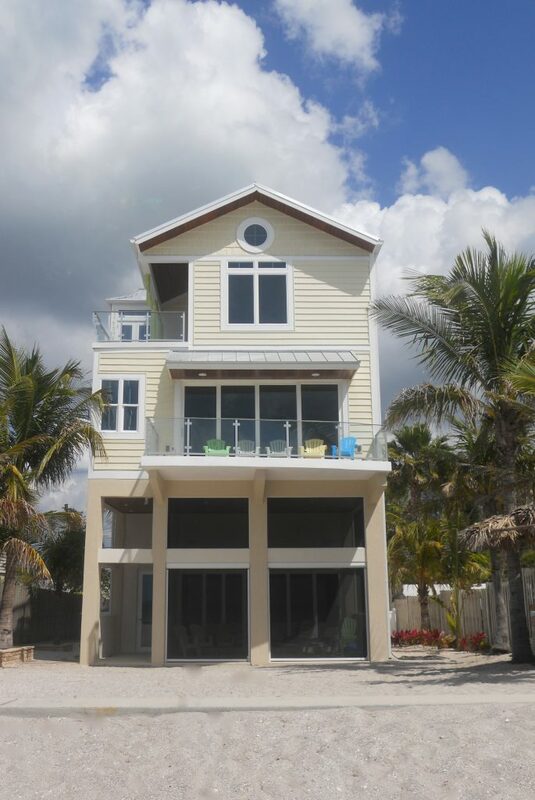 This contemporary, 3 story, custom beach home features 3 bedrooms, 3 full /2 half baths and a total of 5,496 sq. feet. The lower level has a large 2 car garage with high ceilings, a multipurpose room and an enclosed lanai area off the back of the home featuring automatic electric roll-up screens allowing the lanai to open onto the beach. An elevator will take you up to the second and third levels where you will find high end custom finishes including custom hickory wall finishes in the foyer. The open concept of the second level allows for the Kitchen (featuring a custom bamboo glass backsplash), Dining and Living Room areas to enjoy beautiful views and magnificent sunsets. 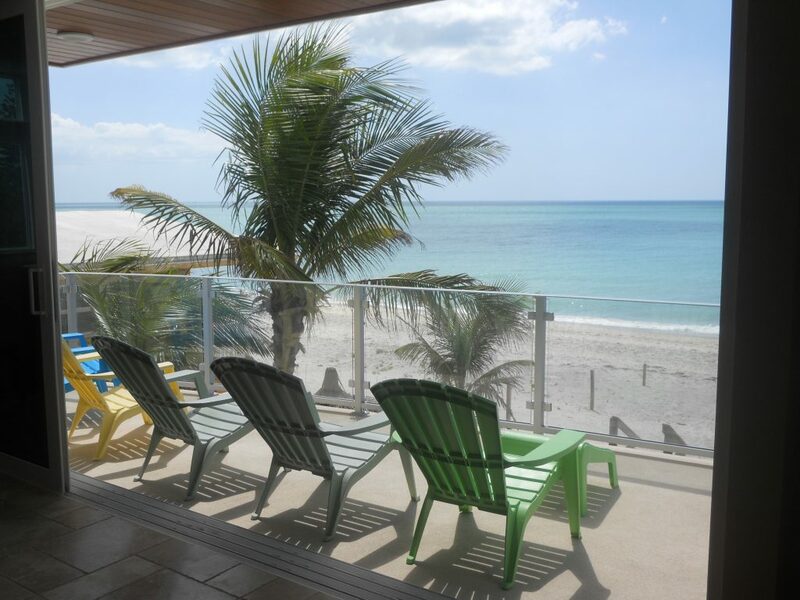 A sixteen foot sliding glass door opens up the rear of the home allowing you to take in the gulf breezes and sounds of the ocean waves while relaxing on the aluminum and glass railing balcony, overlooking the beach. 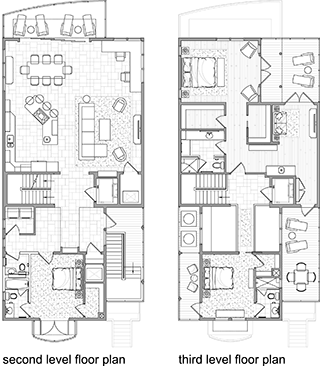 The second level also includes a second bedroom with a full bath and private balcony, laundry room and half bath with a custom Luma-pex© lighted countertop. 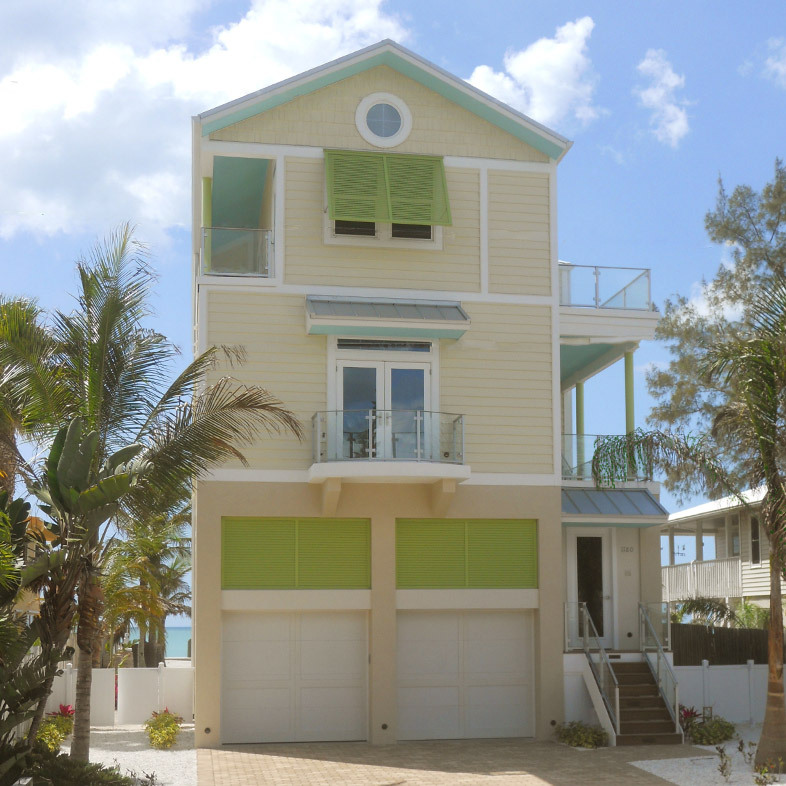 The third level has a generous and welcoming Master Suite featuring cork flooring, cypress wood cathedral ceilings and a private balcony overlooking the Gulf of Mexico. 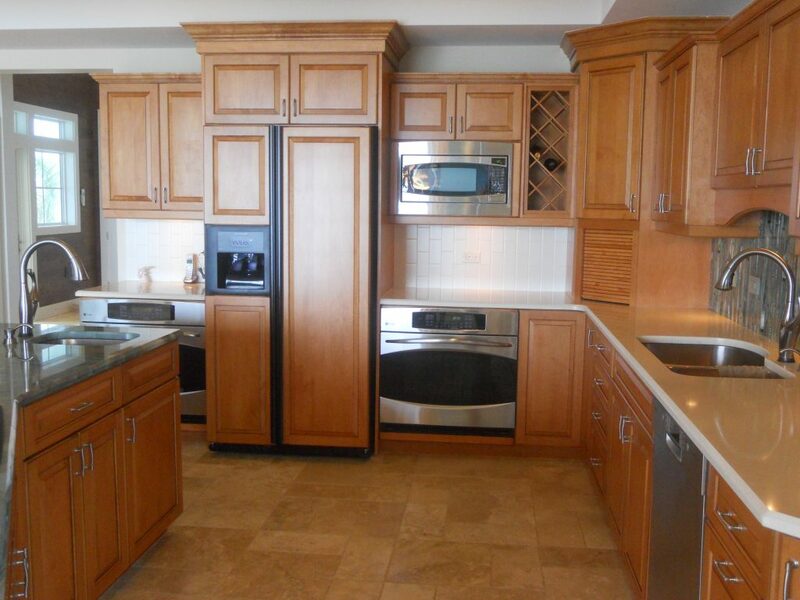 Off the master area is a large master bath with custom tile, two walk-in closets and a media room with its own mini-bar. A glass railing catwalk adjoins the 3rd bedroom with full bath and 2 outdoor balconies. 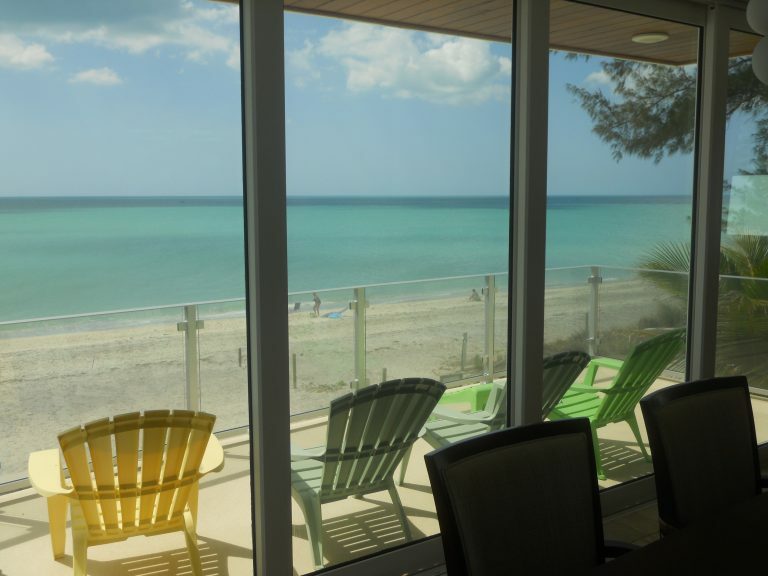 This home features a custom entertainment system with surround sound, alarm system, Koehler fixtures, stainless steel appliances and travertine tile throughout the main living areas. The outside features a brick paver driveway, bahama shutters, glass aluminum railings and Trex decking. This home also includes many energy saving features including open cell foam insulation, Trane high efficiency HVAC systems, impact resistant low E insulated windows and a standing seam metal roof.